In a bid to form new habits, three of the major fastfood chains in Hong Kong will be giving free reusable tableware for customers to encourage them to ditch single-use utensils. Cafe de Coral, Fairwood and Maxim’s joined the scheme. Customers who choose to exclude plastic forks, spoons and knives with takeaway meals will earn a stamp. After collecting a set of six, they will earn a free set of reusable cutlery or a hot drink of their choice. 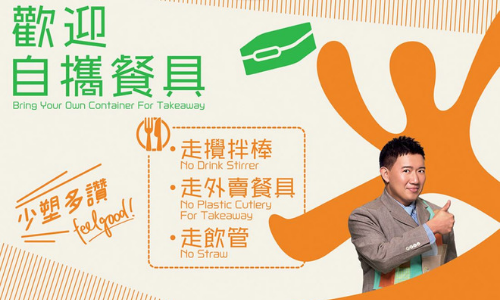 Spearheaded by the Environmental Campaign Committee (ECC), the campaign aims to encourage customers to develop the habit of ditching single-use cutlery and to bring their takeaway containers without any incentives. The campaign will kick off in late November, offering 300,000 sets of reusable utensils worth about HK$1.2 million in total. The campaign is not only open to three fastfood chains as volunteers are welcome to join, according to ECC chairman Lam Chiu-ying from South China Morning Post’s report. Lam said caterers would not be subsidised as they’re volunteer organisations. The chains’ participation is to help distribute tableware in order to breed a new behaviour and reduce usage of single-use utensils, according to SCMP. Environmentalists said the scheme was “better than nothing” but fast food chain stores were also responsible for encouraging the public to use less plastic tableware and containers. They also doubted the necessity of giving out reusable tableware as every citizen already had. HK01 said three fastfood chains had no further details of the number of single-use utensils given out in a month, and the details of the implementation of the scheme.